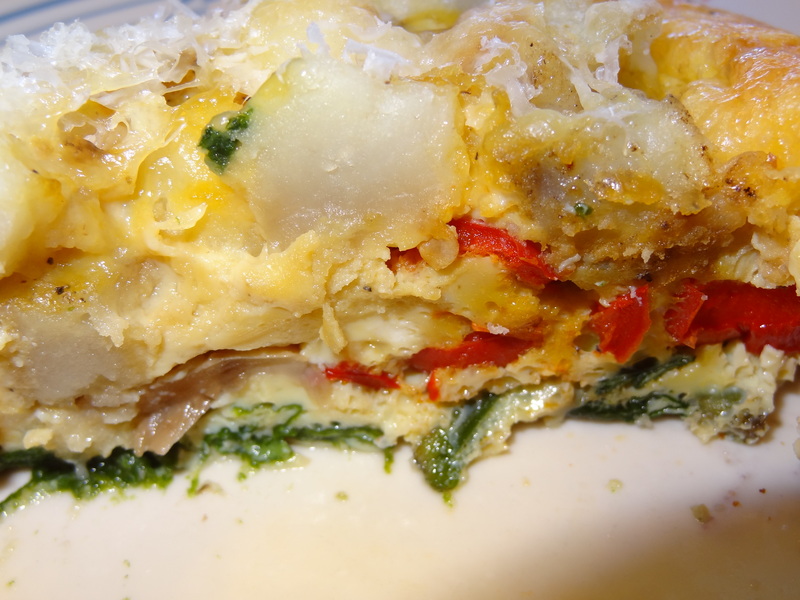 Here is my easy steps to make a good frittata.You can serve a frittata any time. This is a recipe I have tried and tried again until I came up yesterday with the way I really like it. I like to see the layers of vegetables and that it’s not all mixed together. The crust is the spinach and than vegetables are added. So delicious and nutritious. 1. 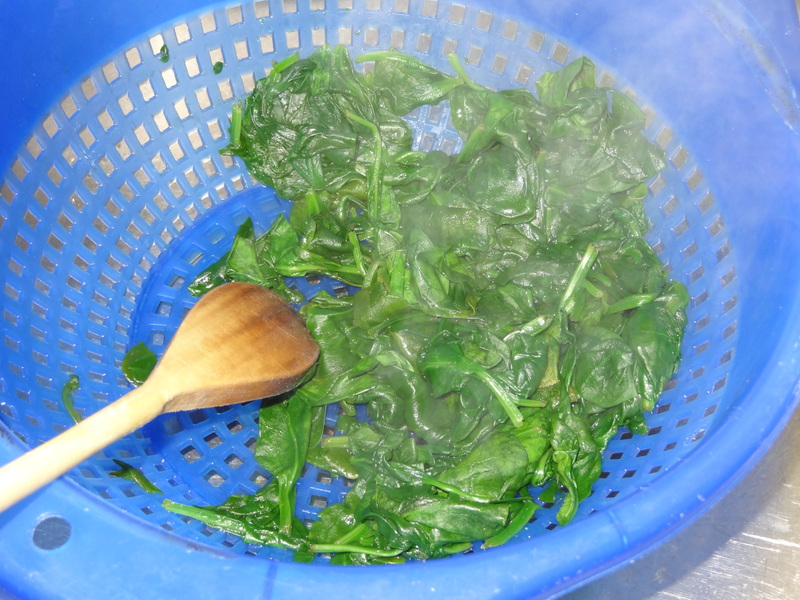 Cook Spinach in a small amount of water. Drain. Set aside. 2. 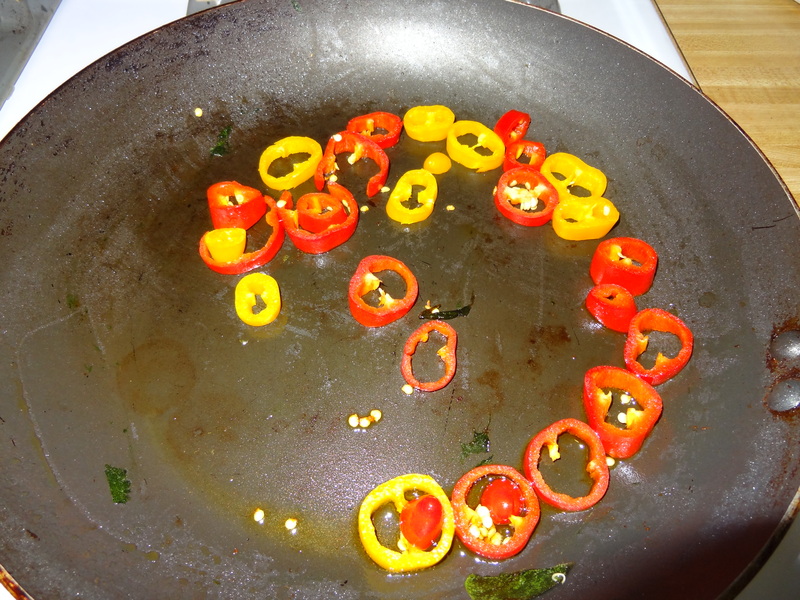 Sauté peppers in 1 tsp of Extra Virgin Olive oil. Add garlic. 3. Add mushrooms. 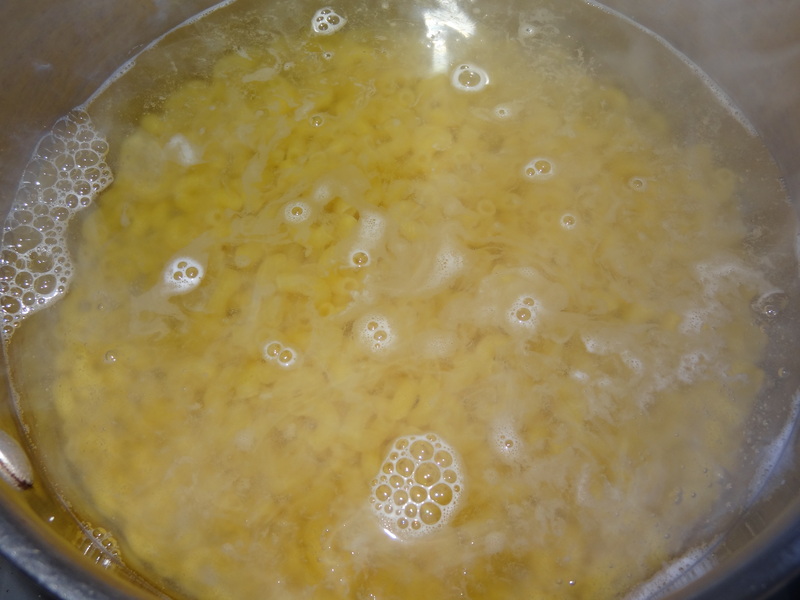 When cooked a few minutes – set aside. You want you vegetables a little done. 4. During this time, clean and cut 4 red potatoes (or any kind) and cut in dice. Cook in water. When just cooked, drain. 5. Sauté in 1 tablespoon of Extra Virgin Olive oil. If it sticks you can add more oil. You want to have your potatoes reach a nice color. 6. Prepare a round pie pan with Extra Virgin Olive oil. 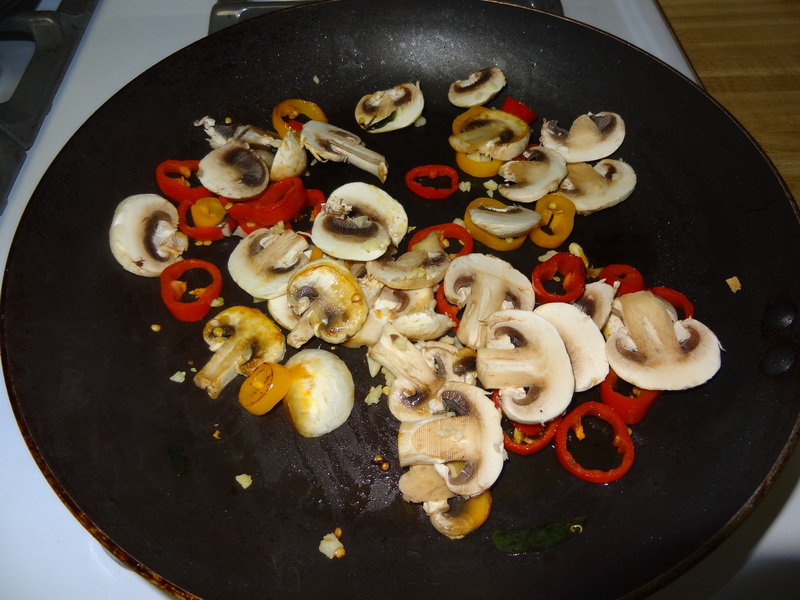 Add Spinach, than add mushroom and peppers. 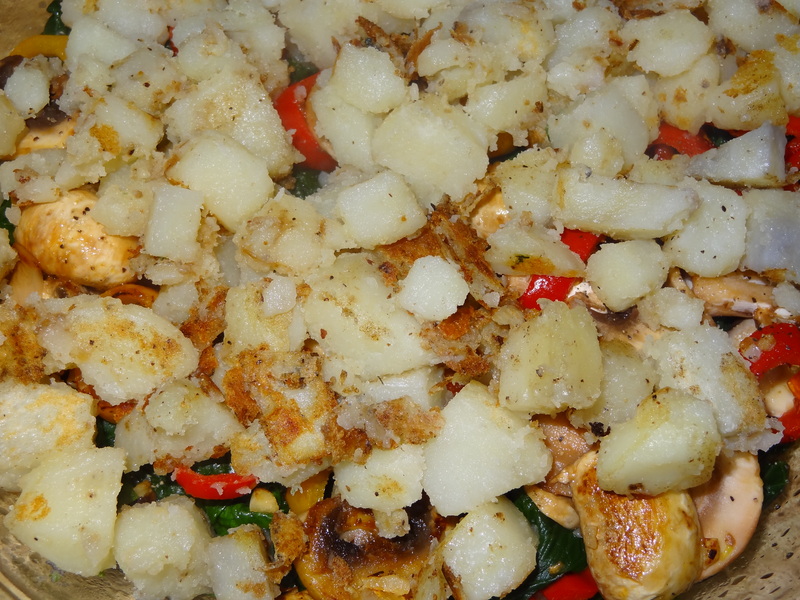 On top add potatoes. 7. 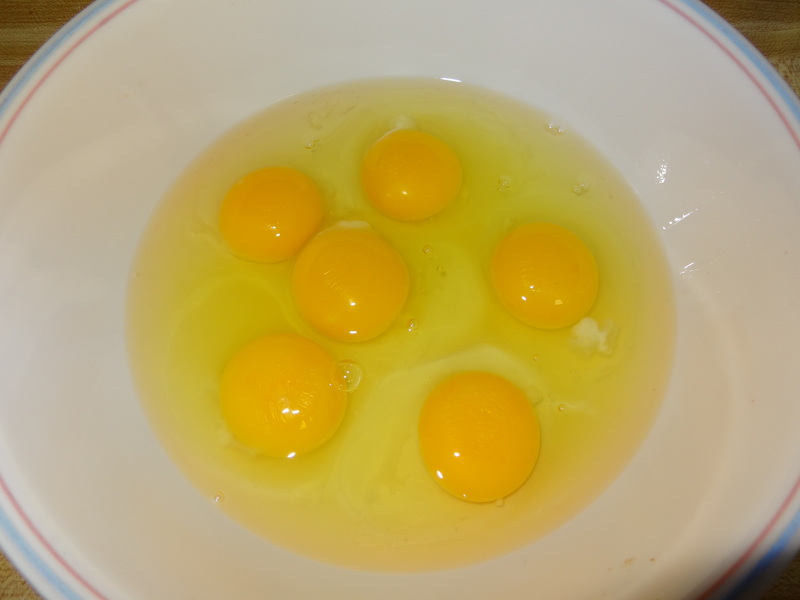 Take a bowl and put 6 eggs. . Mix with fork. 8. 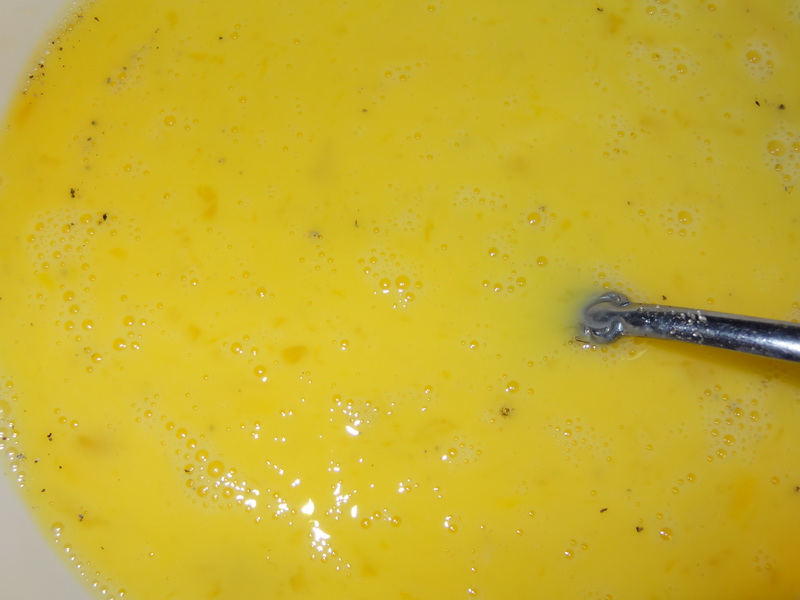 Add 1/3 cup of milk and mix. Pour on top of vegetables. 9. 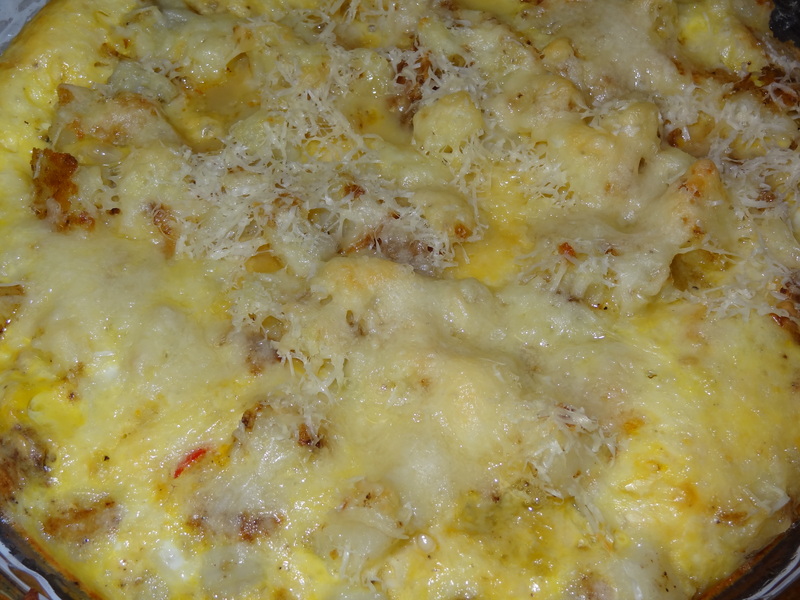 Add Shredded Swiss cheese and some parmesan. Salt and pepper. 10. Bake at 350 for about 20 minutes. Check if done.